It occurs to me that an objective measure of the amount of Fail in a given misidentification could be useful. the chimps, shared a common ancestor. In other words, the Taxonomy Fail Index scales the amount of error in absolute time against the error of misidentifying a human with a chimp. If I were to run a story about Sarah Palin, but accidentally illustrate it with a photo of a bonobo, that would be a taxonomy fail of magnitude 1. The classic Taxonomy Fail of possum/cat has a TFI of 24.6. The yellow jacket/honey bee fail in the last post has a TFI of 25.2, or slightly stupider than mistaking an opossum for a cat. Snope’s insistence that scale insects are “beetles” (via Bug Girl) is even stupider, TFI = 58. In fact, now that we can quantify the Fail, we see that Snopes fails more than twice as hard as the possum cat. See? Science can be fun. Fake, the same picture is on the wikipedia page for the Virginia opossum. Don’t you know, Lasius? — All (o-)possum pictures look alike. 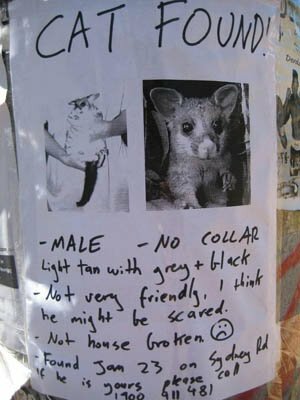 Well, whether the cat/possum poster is a hoax or not, I still think it’s amusing to finally have a way to quantify just how much somebody screwed up their taxonomy. Thanks, Alex! I think Myrmecos needs to be more specific on his divergence estimates: timetree of life produces estimates for different gene sets, weighted and simple averages, and even a Time Tree Expert number for some. 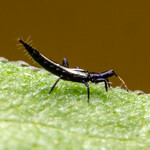 For example, if I put up a posting on how great a blog Myrmecos is and posted a picture of a two-spotted spider mite for Alex I could generate a TFI of 36.8-146.4, just using the Weighted and Simple averages for Pan paniscus-Homo sapiens and Tetranychus urticae. I think this is lacking in precision. While that may be true, this is the sort of issue I probably won’t worry about until the time comes to submit this highly rigorous method to a peer-reviewed journal. Dave, you are just SUCH a wet blanket ! What’s the problem with plus/minus a few hundred million years of dating precision anyway ? After all, all the BEST scientists pull WAGs from their posteriors !! 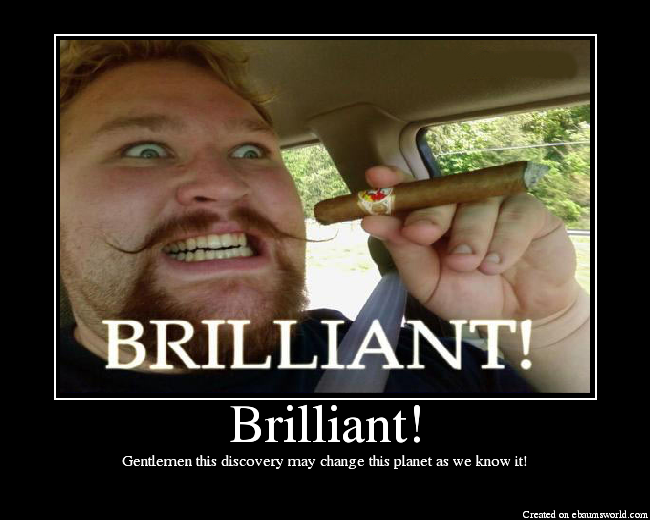 What’s brilliant about that is the rest of us can then cite those WAGs as authoritative. The consensus seems to be that bonobos, while they are native to Asia, are in fact part of a major radiation of the Magnipedidae that took place about 1 mya in Alaska, which incidentally also gave rise to the yeti, Bigfoot, and John McCain (Johannia maccainii). But at least she wouldn’t be identified as H. sapiens… that would warrant at least a 5 on the TFI. Bwah ha ha ha! Whether it’s real or not, this poster is hilarious. Let’s face it: at least one person out there can’t tell the difference between a possum and a cat. Imaging this person makes the poster even better. LOL – thought something was wrong with that 2nd link –indeed Time Tree = EPIC Taxonomy FAIL ! the data is a little sparse ! Here’s a Boing Boing entry that one commenter claims comes in at a TFI=444.5 and links to this page! Since I assume that H is a constant, how many Ma ago is the LCA of chimps and us? in order to illustrate the example, can you demonstrate for us what is the TF index for a DNA barcode that identifies a moth as a parasitic wasp? thank you. Though some divergence could apply to the algorithm and the age calculations, this is an excellent point. 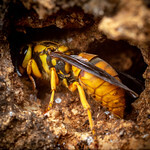 Ignorance about the nature of Systematics has resulted in ridiculous mistakes of many kinds in scientific papers, applied entomology, and in general printed matter on Biology. An index like this could call the attention of those that naïvely think that taxonomy is a question of “applying names to things” (they could not move much in theory along the last 150 years), not the construction of an extremely complex system with biological entities at different level reflecting phylogenetic relationships, characters of groups on those levels, and names–that later on become a general reference system. It’s not personal. It’s just the matter of ignorance on the relevance of Systematics. That’s the thing about memes. They don’t have to be “true” to be good.